It's time to realise your farming dream. We know how hard it is for a young family to find the capital required to own and operate their own farm - so we started Cultivate Farms. We want to rejuvenate regional Australia by putting farming back up the top of the career list for anyone! Cultivate Farms is a social enterprise which matches the best next generation aspiring farmers with retiring farmers and investors to own and operate a farm together. We provide the first business structure of its kind which is targeted at getting young farming families to own their own farm. Are you looking to invest in a farm but lack the time to find the farm and farmer? We can do the heavy lifting for you and match you with your best-matched farmer to find a farm. Are you looking for a positive way to step back from your farm? 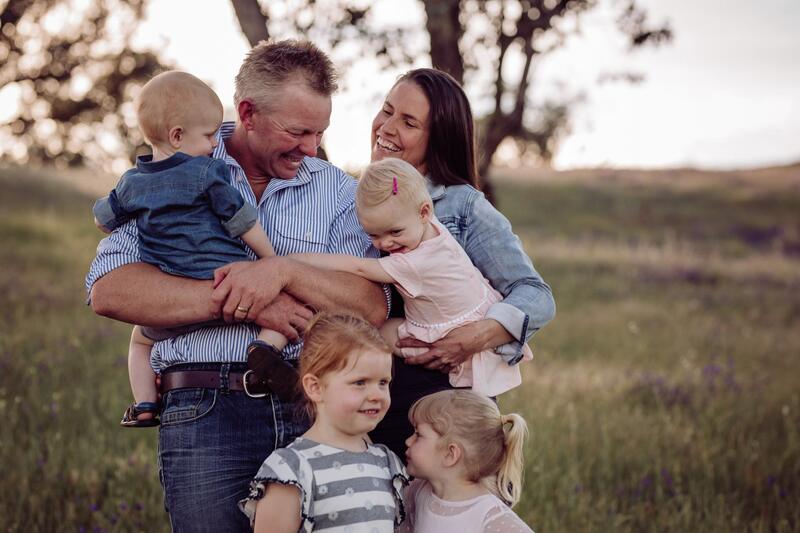 We can connect you with the best and most passionate aspiring farming family who will love your farm just as much as you do. Your information will be kept confidential. Are you eager to own your farm but can’t raise the capital on your own? Land access is a major barrier to growing more farmers, and we Jonai are really excited to see the development of things like Cultivate Farms - creative ways to assist young or emerging farmers onto land! Cultivate Farms can offer an opportunity to put people with the skills and ambition, with either a farming family looking to transition into retirement or for someone who doesn't have the skills but has capital and wants somewhere safe to invest. We both like the idea that Cultivate Farms could have the ability to get more young people into small rural areas. We both love rural Australia and think it's a shame so many areas are dying, as less young people take on family farms.